We all love Pinterest, right? (who doesn't? really, I want to know.) And since we're constantly being inspired by everyone's creativity, we feel like sharing our favorite pins of the week. 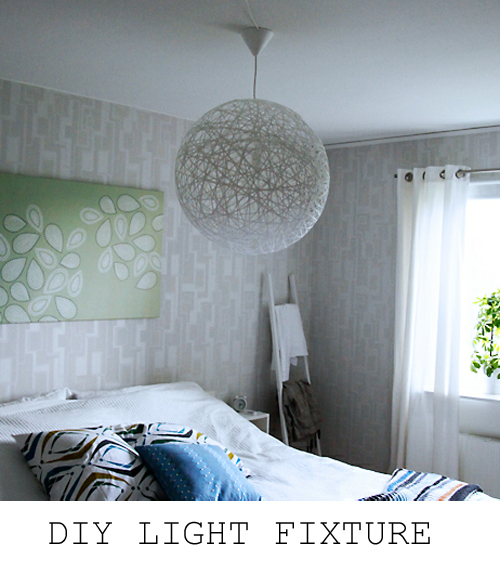 This week's theme: DIY home projects with the ultra coolness factor. You know how people have been making awesome light fixtures and stuff by wrapping balls with stuff? This one is made out of a big exercise ball. I super love it. And therefore need one. 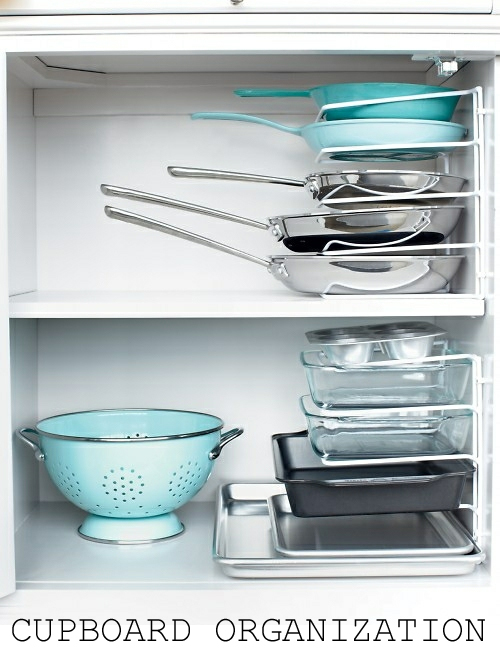 I hate getting pans out of my cupboard because the whole piling thing always works against me. Or the kids have put them away so weird that the precarious "pile" is more like an explosion waiting to happen. That's why I find this idea so ingenious. 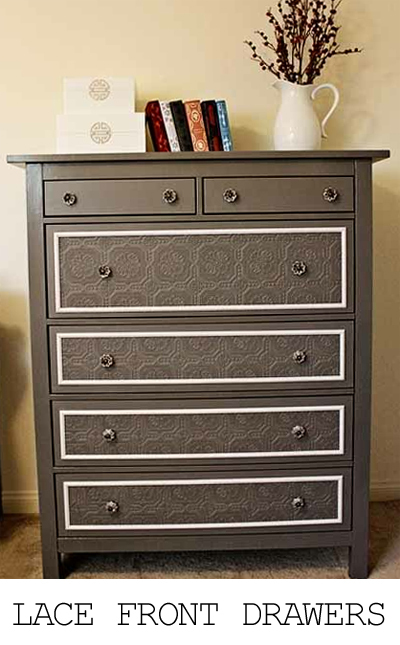 This is an ordinary dresser, except that they glued lace on the front of the drawers and then painted it for some major cool texture. Texture is gooooood. 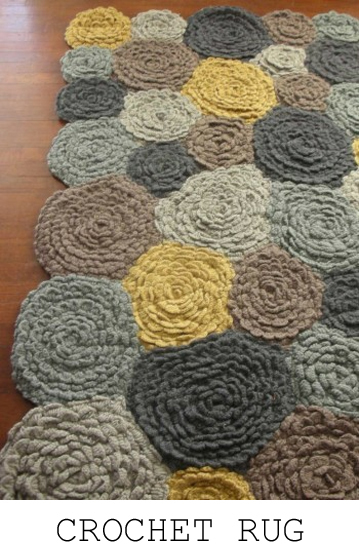 I like to crochet, and this rug is awesome, so I want to make one. How about one of you hurry and make one and then tell me if it was hard? This, of course, is just a sampling of what we've seen and liked on Pinterest this week. You can check out our pinboards for more of our uberfaves.